bed partners Peabody Coal and the BIA were trying to forcibly remove Dineh residents from their ancestral homes in order to strip mine the land of its coal. That greed took the form of a contrived, fictional "land dispute" between Dineh' and Hopi. In reality it was a fabricated story by Peabody/BIA attorneys hell-bent on getting their hands on the land and the coal there. When mainstream journalists interested in the dilemma facing the Black Mesa Dineh residents were forbidden by their editors and the U.S. government from publishing anything about the attempted forced removal, Brenda Norrell gathered and published the story and updates as they occurred. When the BIA threatened to bring in Federal Marshals to forcibly evict the Dineh resisters "by any means necessary" (punctuated by posters of federal marshals, handguns drawn, doing target practice), Brenda Norrell was one of, if not the first to report the threats and the Dineh resisters' and Dineh support groups' responses to the thinly veiled threats. She presented the facts and refused to alter her articles to include anti-Dineh Peabody-BIA-government propaganda. It was not just the Dineh issues that Brenda reported. Every tribal issue across North and Central America was approached with the same honesty, integrity, and courage. That was and is Brenda Norrell's style--the truth, no matter whose feathers it ruffles. She actively supports human rights and fearlessly opposes those who would take away those rights. She is as dedicated today as she was when I first became aware of her. Brenda Norrell is a trusted and trustworthy journalist in the vein of Nellie Bly. 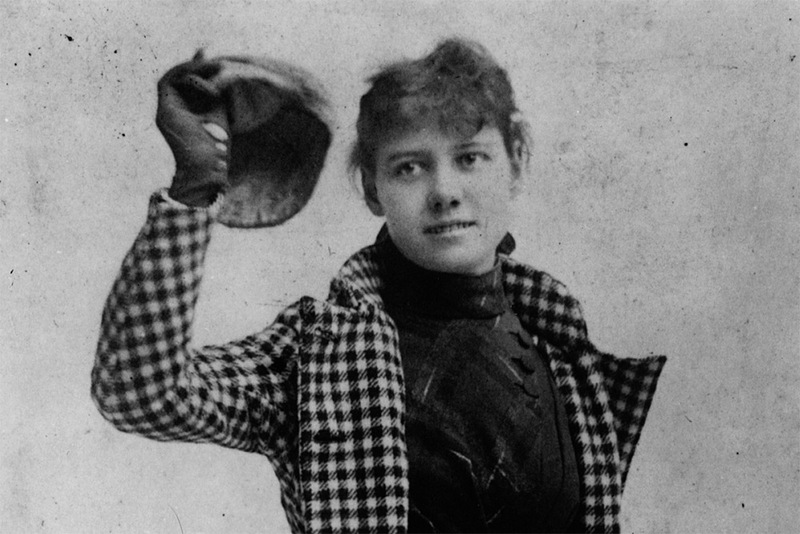 I dare say that if Nellie Bly were alive today, she and Brenda would be fast friends and co-conspirators in their efforts to right wrongs, report the truth, and stand up for the forgotten, neglected, disenfranchised, and misunderstood. It is for those reasons that SENAA International is so quick to link to and shine its spotlight on Brenda Norrell's Censored News. It is honest, trustworthy journalism dealing with topics that government controlled mainstream media refuse to cover. You can put your trust in Brenda Norrell's Censored News to give you the truth of the matter every time. Pictured: Nellie Bly (Elizabeth Jane Cochrane), one of the top journalists of her time; noted for her honesty, integrity and courage.